If you have questions about sponsoring PATH Intl. or exhibiting at the 2015 PATH Intl. Conference and Annual Meeting, please contact Kaye Marks. Lasallian Ciampa, a student at Charles Sturt University is looking for participants for her 4th year psychology honours research project. Click here if you would like to participate in the survey or email with questions. Who is considered a participant at your center? Please take a moment to complete this survey to assist the PATH Intl. Standards Task Force ensure that the PATH Intl. Standards accurately reflect the needs of our membership. Title Sponsor: Purina, the official feed of PATH Intl. "What's this? Certification compliance requirements have changed?" That's correct. In alignment with Strategic Plan objectives of quality assurance and excellence in credentialing, PATH Intl. is pleased to announce updated Continuing Education and Compliance procedures as of July 1, 2015. The revisions focus on the pursuit of continual professional development so that our certified professionals are considered to be at the forefront of the EAAT industry. "Does that mean the continuing education I've gathered over the last year won't be accepted?" Not necessarily. Many of the same activities are still accepted; the new requirements delineate professional development/continuing education activities into categories. While the revisions went into effect on July 1, 2015, PATH Intl. Certified Professionals--including riding, driving and interactive vaulting instructors and equine specialists in mental health and learning--will have a choice of which compliance requirements to submit until January 1, 2016. PATH Intl. will accept both the 2014 compliance form and the 2015 compliance form through the remainder of 2015 to accommodate those who have been earning continuing education hours per the 2014 requirements this past membership year. Please note that certified professionals will be required to meet the compliance requirements exactly as they are stated on the compliance form submitted. "So what are the revisions?" Click here for the revisions. PATH Intl. has an exciting membership for educational institutions that offer education in equine-assisted activities and therapies, and the membership model has been improved. Have you ever sat in the backseat and wondered, "Why don't they ask me? I know where we're going!" PATH Intl. wants you to sit in the front seat and help navigate your member association by sharing your thoughts on our current direction. This membership survey may look familiar to some of you. In 2012, this survey was used to provide direction for our current strategic plan. Now we want to see how things are going. We want to know how you like your membership benefits, the association's educational offerings (online, printed and trainings), certifications and other association offerings and how that compares to the original survey. The survey will take approximately 15 minutes to complete and will close July 31. Thank you for working with us to reach our destination! *PATHBucks are like receiving a gift certificate to PATH Intl.! PATHBucks can be applied to memberships (center and individual), PATH Intl. educational materials, PATH Intl. Registered Instructor applications and PATH Intl. conference registrations (international and regional). Voting on the PATH Intl. field test standards is being handled electronically rather than at the PATH Intl. Conference and Annual Meeting. This first electronic vote, which has been approved by the Programs and Standards Oversight Committee and the Strategic Initiatives Review Committee, is now open until July 14. As PATH Intl. continues to grow, we want to take advantage of every opportunity, including social media and electronic means, to listen to and keep in touch with our members. This electronic vote gives every member a chance to participate and will provide a greater level of transparency by the association to its members. A FREE 30-minute informational webinar presented by the Standards Task Force on three standards currently in field test is available. PATH Intl. is seeking Membership Oversight Committee Region Representative nominations. This year nominations are being accepted for odd-numbered regions: 1, 3, 5, 7, 9 and 11. PATH Intl. Region Representatives serve as ambassadors for the association and as a voice of their region's members. Responsibilities may include recruiting, retaining and recognizing members; collaborating with groups within and outside of PATH Intl. that can positively impact the success of PATH Intl. members; leading PATH Intl. recognition of center and individual members and participants; and helping coordinate states, regions and PATH Intl. communities into effective networking systems. Click here for requirements and to download the nomination form or download the form from the PATH Intl. corporate documents page. Nominations must be received by the PATH Intl. office by July 15 in order for the nomination to be considered. If you prefer, you may print the nomination form, complete it by hand and mail it to the PATH Intl. office. Questions? Please contact Karen Province, PATH Intl. Membership Coordinator. Thank you to those nominees who are willing to contribute their time in representing PATH Intl. to the members in their regions. In just a few days, we will open registration for the 2015 PATH Intl. 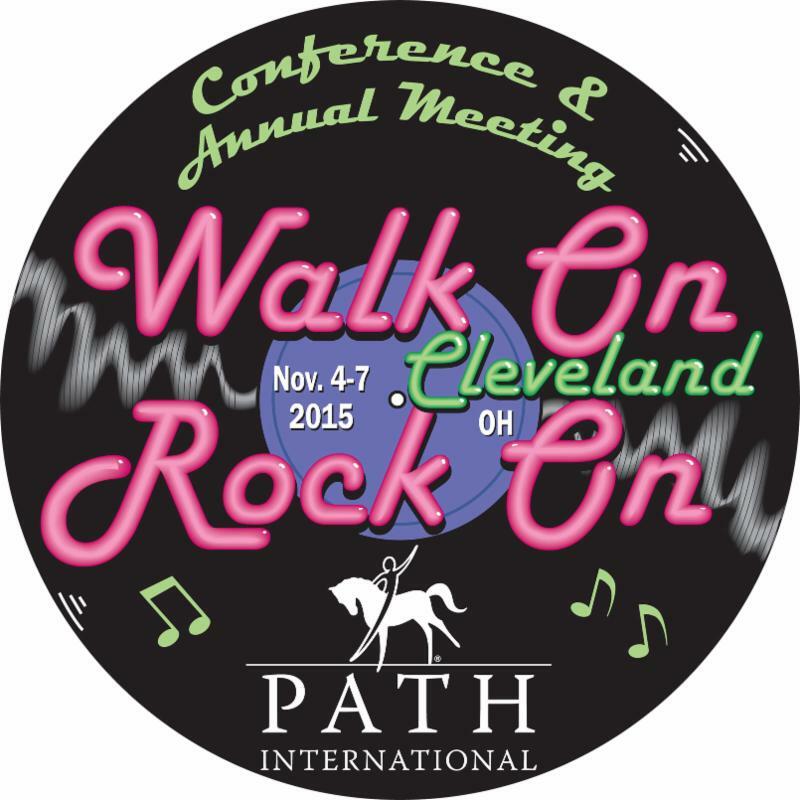 Conference and Annual Meeting, sponsored by Purina, in Cleveland, OH, November 4-7. A hard copy registration booklet and form is in the summer issue of PATH Intl. Strides, which was mailed this week. We're holding a contest for the most original and fun videos our centers can offer. We have a few submissions already but there is always room for more! Show conference attendees the great time had by all at your center. The conference host committee will judge and select the top two or three to show at the awards banquet on Friday, November 6. Click here for an example from The Pegasus Project Therapeutic Riding Center in Yakima, WA. Email videos to Cher Smith or email her for Dropbox instructions. For larger video files, mail a CD or flashdrive. Note: We need the actual video, not a YouTube or Vimeo link. Submissions must be sent by September 1 to allow time for judging. Please include a photo/video release form with submission. The PATH Intl. Equine Welfare Committee is making a commitment to refine and deepen our perspective of equine well-being to include the physical, mental and emotional well-being of our wonderful four-legged partners. Join us on this journey. Please add your thoughts on the PATH Intl. Community Connections page. It is our desire that these tips start a further discussion on Community Connections. Any thoughts? We appreciate hearing from you! If you are interested in meeting other PATH Intl. members, discussing topics of interest, sharing resources, posting events, emailing members directly from the site and supporting each other in the work you do, join Community Connections, the PATH Intl. social media platform and discussion forum. This Community Connections Corner will showcase a topic that is new or is generating a lot of discussion online. Join the conversation or create your own! This month's featured discussion is a lively one, brought to you by the PATH Intl. Equine Welfare Community: A member asks, "I am reaching out to anyone in the community who has used or is using Parelli (or any natural horsemanship techniques) to train/play with your TR horses and anyone who has used these techniques to train your volunteer 'Leaders.' We have been dedicated to this style for one year and we have happier horses and leaders who have the skills to partner with the horses and make our lessons even better for our clients! Wanting to know other's results and how you might have used the games in your training!" Read the responses and join the discussion! NDR Therapeutic Riding in Norco, CA, has been chosen to host a training camp for the USA Special Olympians. They will use the facility and its EAAT horses to prepare for the 2015 World Games competition at the LA Equestrian Center. The training camp will be July 22-24 and the games are July 25 through August 2. The LA 2015 games mark the first World Summer Games held in the United States in 16 years. Click here for information on the 2015 Special Olympics World Summer Games. Congratulations, NDR, on this honor! Kudos to R.O.C.K., Ride On Center for Kids, a PATH Intl. Premier Accredited Center in Georgetown, TX, which received RecognizeGood's 2015 Ethics in Business & Community Award for nonprofit organizations. RecognizeGood honors businesses, nonprofits and individuals who demonstrate exemplary ethical practices. The North Carolina Therapeutic Riding Center, a PATH Intl. Premier Accredited Center in Mebane, NC, was featured in Sidelines Magazine in March, "The Magic of Therapeutic Riding." Lara Katz, chair of the NCTRC Board of Directors, sums it up, "I've never seen anything else that offers such remarkable benefits for people with such a wide variety of disabilities." Shamrock Reins in Pipersville, PA, was featured in a junior reporter's story for the Fox news affiliate in Philadelphia. The video report highlights equine services for veterans across the United States. Congratulations to Kiddy at REACH Therapeutic Riding Center, a PATH Intl. Premier Accredited Center in McGregor, TX, for being named the SmartPak Horse of the Month for June. Kiddy will receive SmartFlex III Resilience Pellets. Click here to read Kiddy's story. 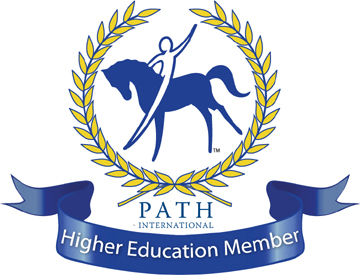 For a full list of events, including onsite workshops and certifications, visit the PATH Intl. events calendar. Equine-Assisted Therapies of South Florida, Inc.